AMC Networks has announced a summer premiere date for the second season of The Terror, now titled The Terror: Infamy. The series will return to dial up the horror on Monday, August 12 at 9:00 p.m. ET/8:00 p.m. CT. 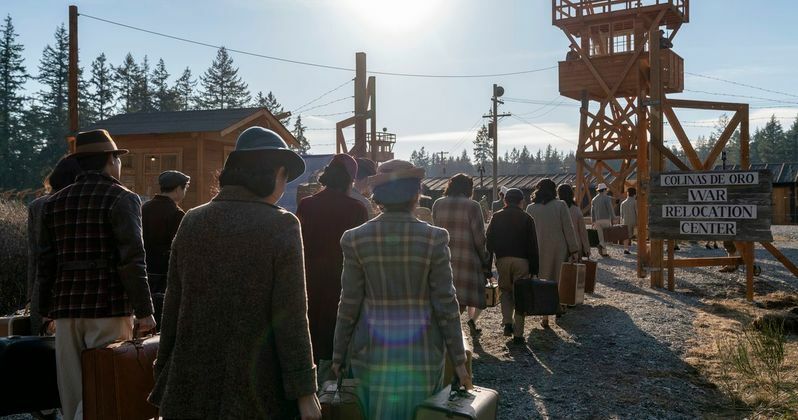 The Terror: Infamy stars Derek Mio as Chester Nakayama; Kiki Sukezane (Lost in Space) as Yuko, a mysterious woman from Chester's past; Cristina Rodlo (Miss Bala) as Luz, Chester's secret girlfriend; Shingo Usami (Unbroken) as Henry Nakayama, Chester's father; Naoko Mori (Everest) as Asako Nakayama, Chester's mother; Miki Ishikawa (9-1-1) as Amy, a Nakayama family friend; and renowned actor, producer, author and activist George Takei (Star Trek) as Yamato-san, a community elder and former fishing captain.